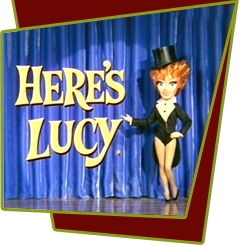 While in Las Vegas, Lucy discovers a pony on the highway, and decides to return it to its rightful owner. They find the pony belongs to Wayne Newton and return it to him in person. Wayne is grateful, so Lucy asks for jobs on his ranch for the entire family to earn spending money so they can see some Las Vegas shows. Wayne gives them temporary jobs on his farm as workhands and at night they sit around the camp fire singing "Tumbling Tumbleweed". When Kim and Craig display musical talent around the camp fire, Wayne includes them in his show at the State Fair. Kim & Craig join Wayne doing equestrian stunts while Lucy & Harry get to do the branding and clean-up. Special Notes: This episode is filmed on location in the San Fernando Valley. Lucy and Desi Jr. are sent to horse trainer, Glen Randall to learn the art of formal horseback riding.